Oscars 2014 FAQ: There’s Music at the Academy Awards This Year! When and where does the show actually happen? The Oscars will broadcast live from the Dolby Theater in Los Angeles on ABC on Sunday, March 2, at 8:30 p.m. ET. The red carpet coverage starts at 7 p.m. ET on ABC. For the first time, you can also stream the programming live online via Oscar.com, ABC.com, WATCHABC.com, or the WATCH ABC app (available via Google Play, the Amazon Appstore, and the iTunes App Store). Who’s hosting the awards show? Ellen DeGeneres, back for the second time after a 2007 hosting stint that won her (awards show synergy!) an Emmy. In a statement, the Beats Music pitchwoman quipped, “You know what they say — the third time’s the charm.” Yeah, she can do that. Karen O, Pharrell Williams, U2, and Frozen star Idina Menzel will perform this year’s Best Original Song entries. The latest additions are Pink, the singer-actress known for her high-flying award-show act, and Bette Midler, surprisingly enough making her divine debut on the Oscar stage. According to the AP, Vampire Weekend’s Ezra Koenig backed O on acoustic guitar during rehearsals. Okay, what are the nominees for Best Original Song? Yeah Yeah Yeahs frontwoman Karen O is up for intimate Her ballad “The Moon Song,” which has lyrics co-written by the film’s director, Spike Jonze. Pharrell’s nod is for uplifting hand-clapper “Happy,” originally from Despicable Me 2 but also set for his solo album G I R L (conveniently out a day after the Oscars). U2’s contender is “Ordinary Love,” their Nelson Mandela tribute from biopic Mandela: Long Walk to Freedom — the Irish rockers’ first new song in three years took home the equivalent Golden Globe. All get serious competition from Frozen’s “Let It Go,” written by Kristen Anderson-Lopez and Robert Lopez and recorded by both Menzel and Demi Lovato. The Disney film’s soundtrack just went platinum. Anybody we care about nominated for Best Original Score? Arcade Fire’s Will Butler and longtime partner-in-strings Owen Pallett are in the running thanks to their work on Her. They’re up against usual suspect John Williams with The Book Thief, plus Steven Price with Gravity, Alexandre Desplat with Philomena, and Thomas Newman with Saving Mr. Banks. In other words, Butler and the Final Fantasy man are the only hope for a Trent Reznor-style coup. Wait a minute, wasn’t there an obscure Best Song nominee? When the Academy announced the nods, one went to the theme song from a little-known Christian movie called Alone Yet Not Alone. The video had fewer than 4,000 views on YouTube at that time, and the movie was absent from commonly used movie databases. Performed by quadriplegic evangelical Joni Eareckson Tada, “Alone Yet Not Alone” wasn’t necessarily a bad hymn, but its presence was a bit of a surprise. Still, Bruce Broughton, who composed the music (Dennis Spiegel did the lyrics), was a previous Oscar Best Score nominee with 10 Emmys, so his name didn’t come completely out of nowhere. And that brings us to the problem: The Academy revoked the song’s nomination after it determined Broughton, a former head of the organization’s music branch, had improperly emailed branch members during the nomination votings period. Nominated, and yet not nominated. Easy come, easy go. How do the 2014 Oscars stack up musically with other recent years? Pretty well, actually! 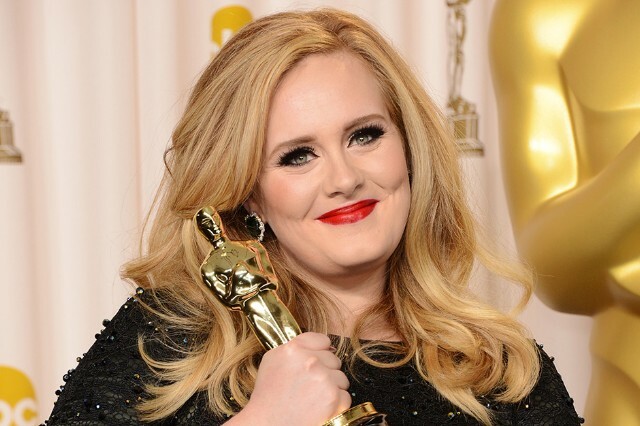 There’s no preordained superheroic figure like Adele, who won last year’s Best Song Oscar for her theme from James Bond film Skyfall. But otherwise 2013’s nominations didn’t have much for people who are more into music than movies: A song by Norah Jones was nominated, but so was a Les Misérables tune belted out by part-time crooner Hugh Jackman. In 2012, only two songs got nods. The Oscars skipped musical performances altogether that year and in 2010. So: Thank your based Bono, kiddos. What’s this about an Oscar Concert? Common hosted a live event honoring the year’s nominated scores and songs on February 27, at 8 p.m., at UCLA’s Royce Hall. Butler and Pallet were among the composers discussing their pieces in between suites from the nominated scores. (The AP quotes Pallett as saying, “Originally, the movie [Her] was set 30 years in the future, and then he brought it back to 15 years in the future, so we had to take the Blade Runner score out and make it a bit more contemporary.”) The Lopez couple performed “Let It Go,” and Jill Scott sang “Happy.” The Oscar Concert wasn’t televised. Maybe next year. Will Pharrell be wearing his ginormous Grammys hat on Oscar night? Probably not. He’s donating the oversize headgear to charity. The eBay auction doesn’t close until Oscar night around 10 p.m. ET, though, so there’s still at least an outside chance of a Dudley Do Right sighting. Pharrell wants people to be happy, right?